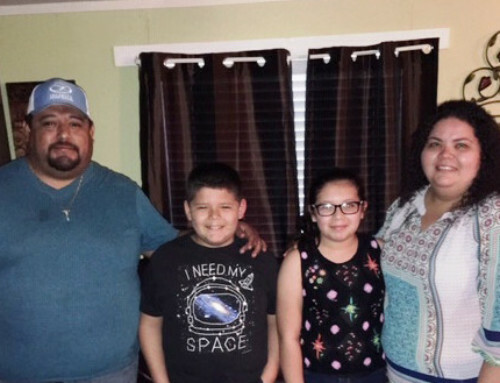 When Habitat homeowner-to-be Marissa Escalante helped lay sod in the yard of a fellow Habitat homebuyer, she woke up the next morning with a body so sore it hurt to move. “Building a house is hard!” she said. And she’s right. But hard work is needed for anyone purchasing a home from Bryan/College Station Habitat for Humanity. Sweat equity hours spent on the build sites serve as a homebuyer’s physical investment in the home and provide an opportunity to connect with members of the community who help build it. “I’m going to appreciate my house so much because I get to see and participate in all the work that’s put into it,” she added. Marissa says she has also benefited from the financial literacy and home maintenance classes that Habitat also requires. 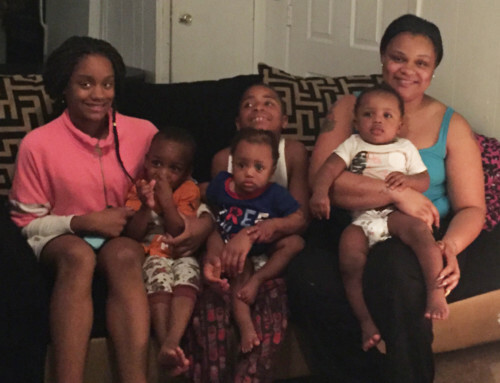 But the two biggest reasons Marissa is grateful for the Habitat homebuyer program is her two daughters, Daniela, 8, and Abigail, 6. Marissa and daughters currently live in the home of a family member; all three share one of the bedrooms. With their own home, Marissa and the girls will have a place to put down roots, grow and thrive. Daniela and Abigail both enjoy school, so the new home will give them each a bedroom and a quiet place to study. They will also have a yard so they can invite their friends over to play. Ten years ago, when Marissa’s divorce damaged her credit, she almost gave up hope. 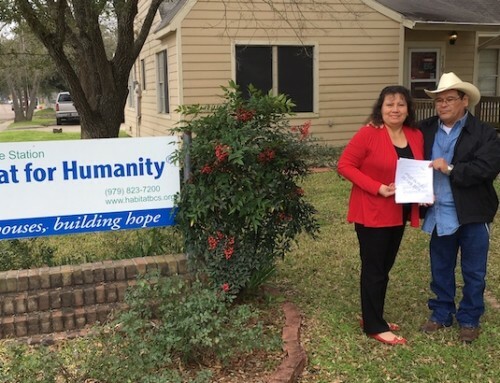 When she learned that she had been approved for Habitat’s homebuyer program, she recognized that her past hardship was the darkness before the dawn. “It’s not an exaggeration to say that I’ve been praying to God for this home for years,” she said. Maria wants her sponsors to know how thankful she is for their generosity. “Dios te bendiga,” she added in her native language. May God Bless you.